Natural range Vietnam, southeastern continental China, and Taiwan. Another subspecies M. m. kami is distributed in Yaeyama Islands, southern Japan. Range in Japan This subspecies is established in Kyoto, Osaka, and Shiga Prefs., and Iheyajima Island (Okinawa Islands). 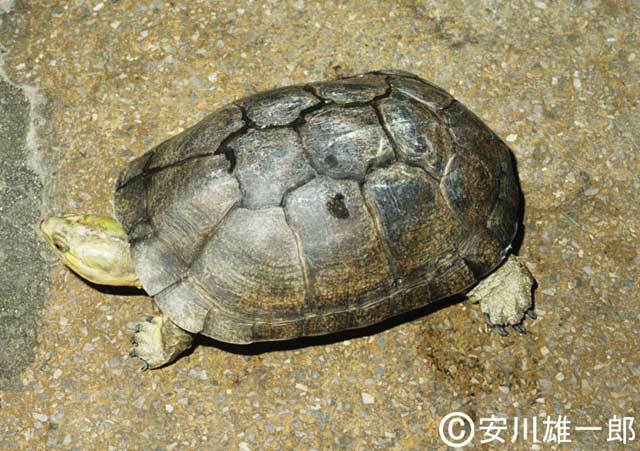 This species (subspecies unknown) is also established in Chiba Pref. (Inbanuma Pond), Akusekijima (Tokara Islands), Kitadaitojima (Daito Islands), and Kerama Islands (Zamamijima and Tonakijima Is.). Date Kyoto, Osaka, Shiga, and Akusekijima populations were established in 1930 or earlier. Other island populations may be established in 1980s or later.